Caring for your grass can sometimes be a lot of work, but the end result of a beautiful lawn is typically worth it. 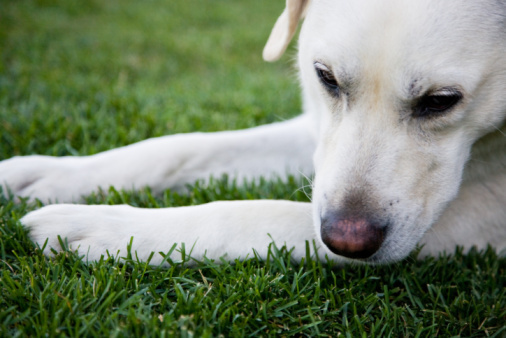 If your lawn is damaged, thinning or is changed by landscaping work, this care may require growing new grass. 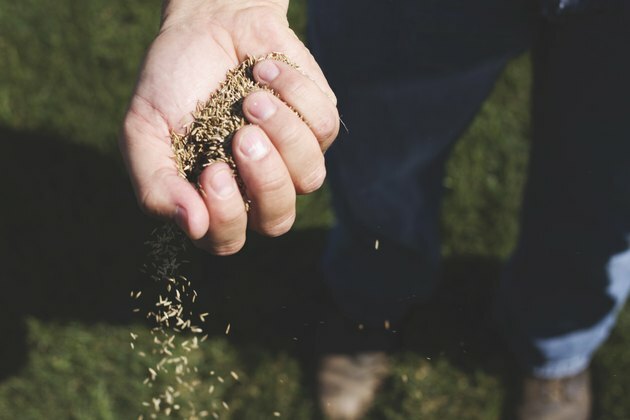 When planting grass seed, if you aren't careful then you might spend time and money putting down seed that doesn't grow well or that is eaten by birds and other animals. With just a little bit of planning, however, you can protect your seed and grow it out into a full, lush lawn. Choose a grass seed variety based on where you live, the amount of sun your lawn receives and the time of the year. Different grass varieties grow better in different climates so be sure to consult a planting map or grass variety compatibility list to determine which seed is best for your lawn. Remove any large rocks or other obstructions from the area you wish to seed. If the area has bare soil, dig or till the soil to approximately 3 inches to loosen it before planting grass seed to ensure optimal root penetration. Rake the area with a garden rake to remove any debris and to even out the soil surface. If you're adding grass seed to an existing lawn that is thinning as a means of lawn repair, mow the area before sowing the seed. Set the mower deck height lower than usual to ensure that the grass reaches the soil and use a rake or dethatcher to minimize the thatch or other plant material near the soil surface. Consult the distribution instructions on the grass seed bag and use the recommended spreader settings to spread grass seed over the area you wish to sow. If you don't have access to a spreader, take the seed one handful at a time and gently shake it over the area you've prepared. Spread straw or other biodegradable material over the area where you're growing new grass to help ensure optimal grass seed care. This will help protect the seed from birds and other animals and will also help the area to hold moisture. Water the area where you've sown your grass seed with a gentle spray, watering frequently enough that the top 1 inch of soil stays moist. Continue watering until the grass begins to grow, and maintain moist conditions until the grass reaches a height of 2 1/2 to 3 inches. Apply a fertilizer designed for grass seed care approximately 2 to 4 weeks after sowing the seed to ensure that the grass has access to the nutrients it needs for root development. Do not mow the growing area after planting grass seed until the grass reaches a proper growing height of at least 3 inches. Make sure that your lawn mower has a sharp blade and set the mowing deck high enough that it cuts no more than 1/3 of the grass height. Once the grass is established enough that you can mow it, the root system should be developed enough that you can resume normal lawn usage.